Paul Kostrzewa's Less common Computers Collection - Collected It! My Alpha RISC based DEC Multia. Ran Windows NT 4.0 for Alpha. 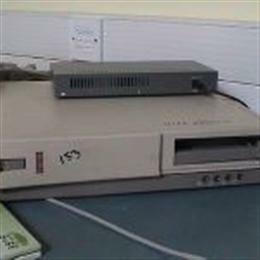 Two PCMCIA slots, two PCI slots, laptop CD and floppy. If no hard drive, could boot to OS from ROM... pretty cool. This is my small form factor DEC Multia. 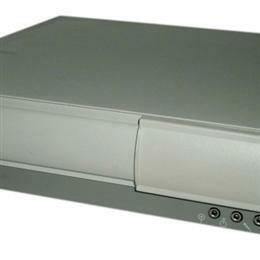 Had laptop floppy and CD, two PCMCIA slots, 2 PCI slots. Ran Windows 95. 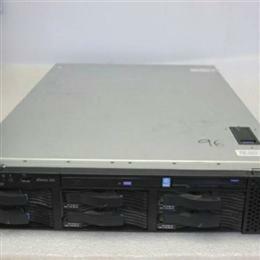 IBM xSeries 342 server, for rack mounting. All three drive bays are populated but both power supplies are fried. I may replace the PSUs some day but then I'd have to wire a 220 twist-lock outlet to plug the stupid thing into. OQO model 01+ handheld computer. 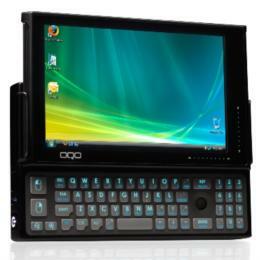 1GHz processor, 512MB Ram, 30 GB HD, 800x480 LCD display, 802.11b wireless, full slide-out keyboard, Wacom digitizer screen. Runs Windows XP professional. OQO Model 02 handheld computer. 1.5GHz processor, 1GB RAM, 60 GB HD, 800x480 LCD, 802.11 a/b/g wireless, Bluetooth, full slide-out backlit keyboard, Wacom digitizer screen. 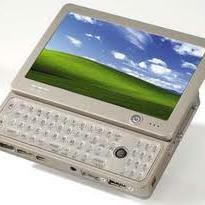 Runs Windows XP professional but is capable of running Windows 7 or 8. A luggable XT system with two 360Kb floppy drives and monochrome amber display. 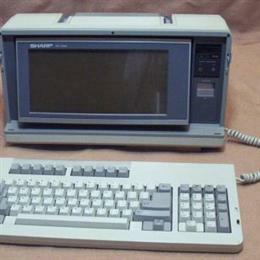 640Kb of RAM, 8086 processor. Still runs perfectly and boots to DOS 5.0 currently. Some of my, if not rare, less common computers. 6 / 2 with Est. Val.